There are different purposes for extending PDT. One of them is adding support for specific PHP framework to the IDE features like: Code Assist, Navigation (CTRL + click), Presentation (Outline, PHP Explorer). In this document we'll describe how to achieve these goals using PDT extension points. If you have any questions regarding this document, please ask them on PDT-Dev mailing list. Please note the priority is set to 100 in order to override the default PHP goal evaluator (its priority is 10). That's all. In case if 'MyClass' exists Code Assist and Navigation will work out of the box since they are both based on the type inference engine. Behind the scenes, view loads the Zend_View_Helper_HelperName class (note the naming convention), creates an object instance of it, and calls its helperName() method. First of all, we need to define the completion context - a class that verifies that the cursor is positioned after the object call operator and that the object type is a View. When you click while holding CTRL pressed on some PHP element in an editor, or when you ask for Code Assist by pressing CTRL+Space selection engine (or completion engine in case of Code Assist) tries to resolve PHP elements by accessing index. Index contains all the PHP element declarations and references that present in a workspace. The following example indexes non-existing select(), delete() and insert() methods from code snippet #1. Note: this visitor is very similar to the structured model contribution visitor. Adding additional nodes to the PHP explorer can be achieved in 2 different ways. Create resources/newt folder in your plug-in directory, and add this folder to the build.properties, then place PHP stub files under this folder. Sometimes there's a need to add custom PHP source code validator that reports additional errors or warnings to user. Please learn how to do that from this plugin. This example adds validator that checks PHP code for places possibly vulnerable for XSS attack, and reports warnings to developer. 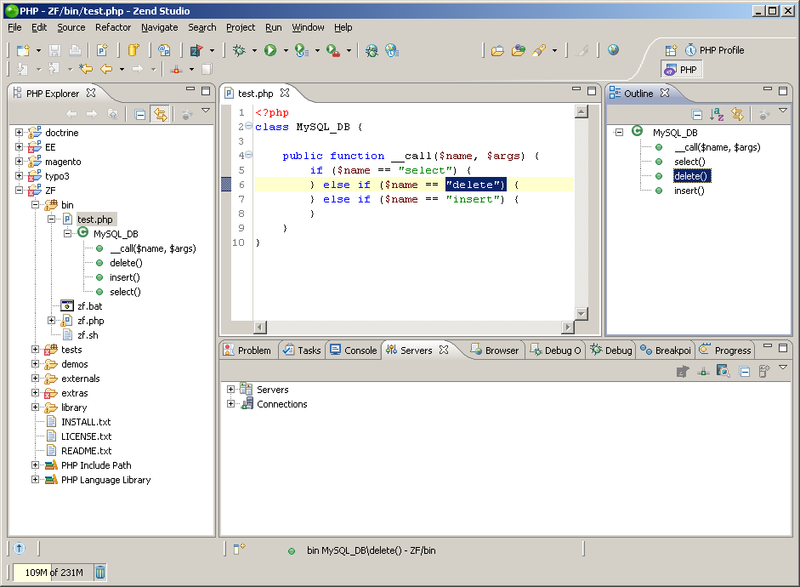 You can use the org.eclipse.php.ui.quickFixProcessors extension point to do this. 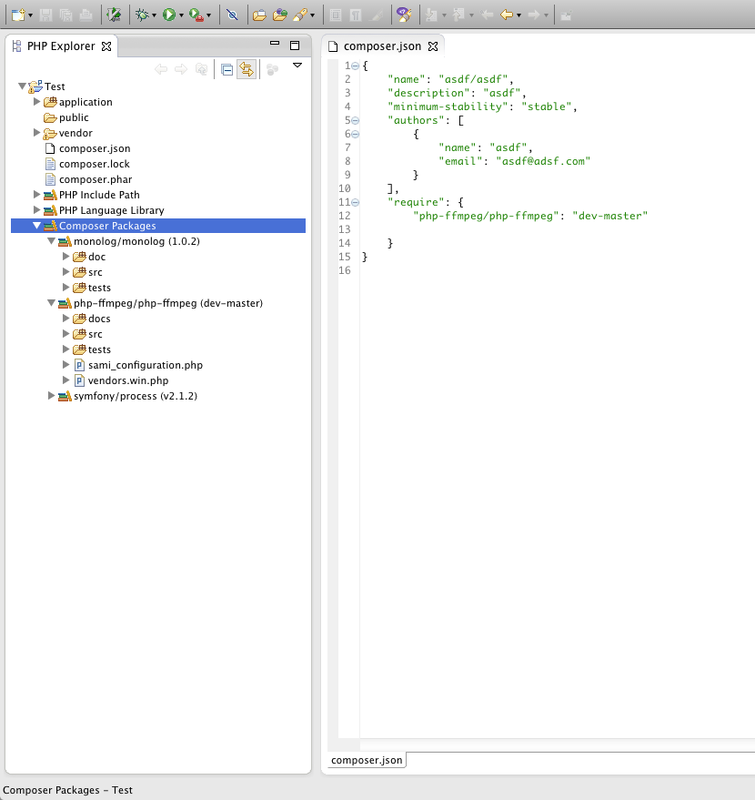 See the PDT Extensions plugin for an example implementation. This page was last modified 15:43, 2 May 2014 by Daniel Mising name. Based on work by Robert Gründler, Remy Suen and Michael Spector.